LIFE for a future pulp and paper industry: combining energy demand, sustainability and wastewater treatment. 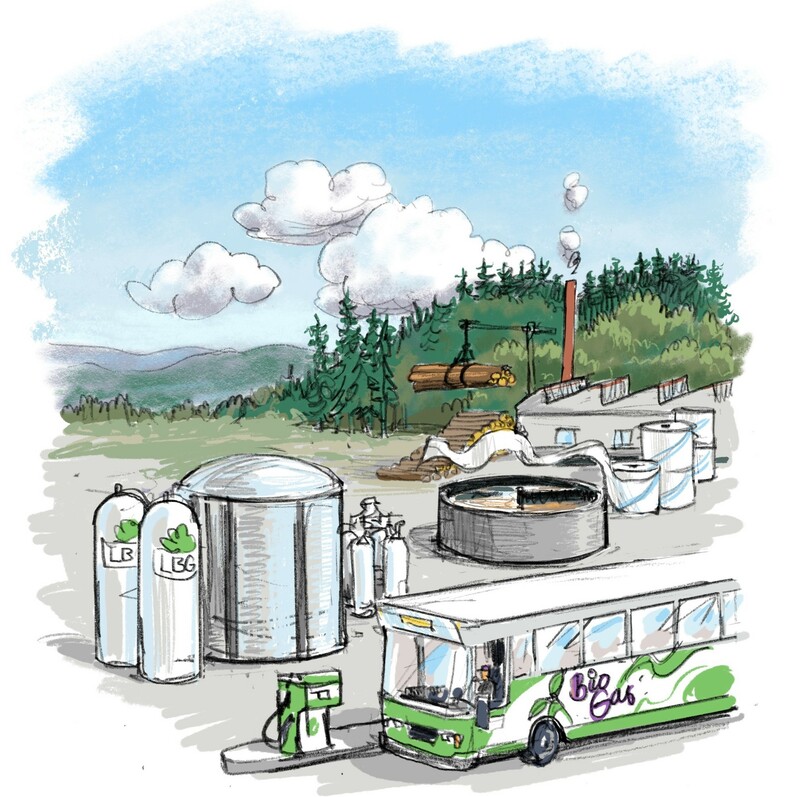 EffiSludge for LIFE is a project implemented by Scandinavian Biogas Fuels AB in cooperation with Biokraft AS and Norske Skog Skogn. With a total budget of 3.1 million Euro, the project is entitled of 1.8 million Euro European contribution. Granted in 2015, the project will last until December 2019. By processing wastewater sludge generated at the mill site in co-digestion with other complementary substrates, biogas is generated. This valuable fuels could be utilised as vehicle fuels or to generate heat and power. An estimate based on the Swedish pulp and paper production show a biomethane potential of around 1 TWh from the wastewaters and residues which corresponds to 60% of the Swedish biogas production during 2015. At Skogn, the waste activated sludge generated at the Norske Skog mill, will be digested together with fish waste to generate 25 million Nm3 biogas per year (first year 12.5 million Nm3).